Image courtesy of the NY Transit Museum Collections. Throughout the 1970s and ’80s, New York City struggled with infrastructure failure, poverty, crime and garbage. One front in what seemed like a constant battle against total chaos was the attempt to keep subway cars graffiti-free. Inspired by a single white car sitting in a train yard in Corona, Queens that somehow managed to remain tag-free for two months (behind a security system that included a chain-link fence, barbed wire and guard dogs, but never mind that) in September 1981, the MTA rolled out one dozen all-white 7 trains–7,000 cars in all. The new program was dubbed “The Great White Fleet,” and officials hoped the bright white cars would do their part to keep graffiti at bay. 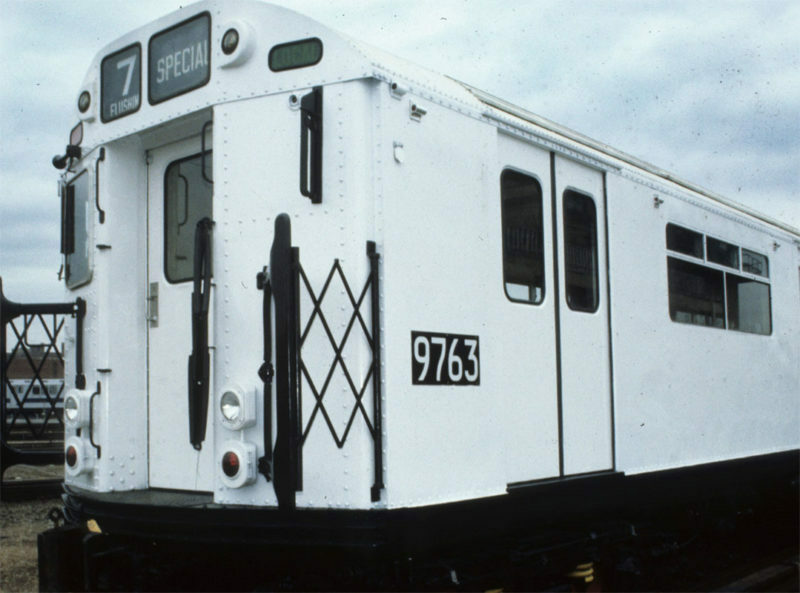 By January of 1983, 7,000 cars– the entire IRT Flushing Line fleet–were painted white. Which predictably had about the same effect as trying to curb drawing by handing out clean, white sheets of sketch paper. In a fraction of the time it took to paint 7,000 subway cars, the whitewashed fleet became canvases on wheels. Eventually it was discovered that the best way to keep the cars graffiti-free was to clean them as soon as the as soon as they were tagged. This continued until the world decided graffiti was actually cool to look at, and its talented creators realized there wasn’t much money in tagging subway cars and went to work for sneaker shops. Fortunately the Great White Fleet was captured on film in the moments that it remained in its pale, pristine state, so we can get a look. It’s a great look, perfect for fans of Scandi minimalism; in fact, the city might want to consider it as a 21st century design choice now that graffiti is strictly a gallery affair.